Watershed improvement occurs across disciplines and is varied in nature, and depending on the climate, land use and local government structures, watershed management can take on many forms. In the Midwest, for instance, bridging the gap between urban and rural or public and private can be a challenge. Coordination and communication skills that find partners are just as important as any technical training when it comes to improving watersheds. When we cultivate and maintain quality partnerships, we ensure that everyone has a seat at the table. Utilizing integrated watershed approaches to solve complex watershed problems is no small feat and it can’t be done alone. As we work to put all of the pieces of a watershed puzzle together, it is important to remember it’s a marathon, not a sprint. Implementing water quality and flood reduction practices takes time. Coordinating these efforts can seem daunting, and networking may not be your cup of tea. However, developing personal relationships with potential partners is the most important facet of watershed work. As jurisdictional and watershed boundaries rarely align, coordination among cities and counties is almost always required. Find the common ground between your mission and that of your local agencies and community groups. Get to know the history of past improvement efforts and who the key players were. We utilize a wide variety of partnerships and funding mechanisms to implement watershed improvement work. A public-private partnership through a Clean Water utility fee helps us leverage dollars from the private sector. Then, we are members of the Iowa Storm Water Education Partnership, who provides us with educational materials and training for industry professionals. We also coordinate with local schools, volunteers, nonprofits and other organizations whose missions align with our goals for improving water quality and reducing flooding. Financially partnering with other municipalities, the county and agribusiness allows us to staff a local watershed improvement coordinator. Each one of these partnerships allows us to bolster citizen stewardship and local agency involvement; both of which are imperative to implementing projects. Grant writing is also a large part of watershed improvement work. Typically, grant funding applicants must be able to demonstrate that partnerships are already established. Whether it’s financial, technical or other in-kind services, when grant cycles open up, the leg work for building partnerships must already be done. Understanding what other organizations’ missions and available resources are can make finding partners easier in the grant writing process. The IFC is an excellent example of a strong group of partners working to develop tools and projects that improve Iowa’s flood preparedness and reduce future flooding. The University of Iowa College of Engineering, researchers, staff and students, the Department of Natural Resources, the Department of Agriculture and Land Stewardship, the Water Resources Coordinating Council and other state and federal agencies all play a part in the success of this organization. Smaller projects and locally led watershed improvement efforts also rely on personal relationship-building. No matter what the size of your organization, continually engaging established partners is also central to watershed work. It is important for local governments to not only lead watershed improvement efforts but to also participate and maintain connections with the community through nonprofit board membership, citizen engagement and environmental stewardship. Partnerships that make watershed improvement work possible take time and energy to cultivate. Understanding what organizations and individuals are available as resources is a vital first step. Take the time, introduce yourself and get to know everyone. Your next partner could be just a handshake away. More information about our local watershed improvement group can be found at the Partners of Scott County Watersheds. 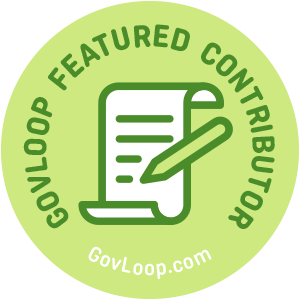 Amy Kay is a GovLoop Featured Contributor. 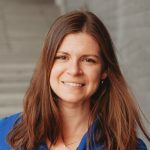 She has worked in municipal stormwater management for 10 years and has served as the Clean Water Manager with the City of Davenport since 2016. Here, she directs the resource conservation and watershed management programs along with activities of the Clean Water Program in compliance with NPDES and MS4 permits. You can read her posts here. Thanks for sharing Amy! I really like your point that jurisdictional and watershed boundaries rarely align, making coordination among cities and counties required. It reminds me of our transit system in the DC/MD/Northern VA area and how the different jurisdictions have to coordinate to fund the system and make sure it’s reliable for their residents. Thanks for the comment Nya. Could you tell me how many jurisdictions are involved? Transit systems are an excellent example of multi-jurisdictional agreements.